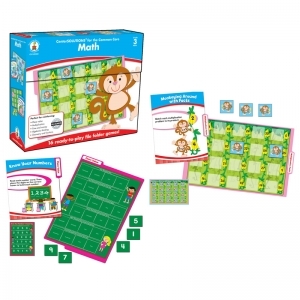 Motivate your little genius to learn their times-table while matching multiplication factors to their final products. 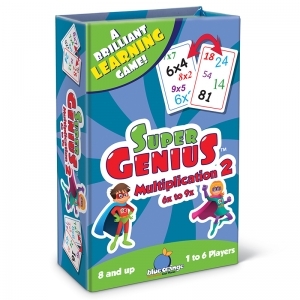 Raise your multiplication powers to the next level, while practicing your times tables 6 to 9. There is always one -- and only one -- match between any two cards. Pick a cooperative rule or race to find the match. 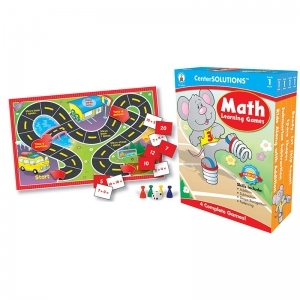 There are endless ways to learn... while having fun. .
Each game includes a game board, four game pieces, playing cards, one die, and its own storage box. Best of all, the games can be stored individually or all together using the large storage box. They are perfect for 2-4 players. Have fun creating equations crossword-style. 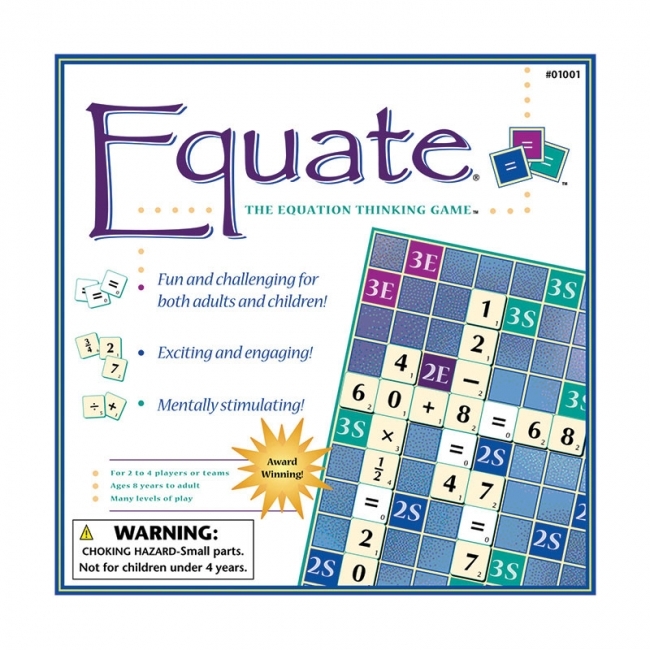 Equate is a great math board game for family and classroom. 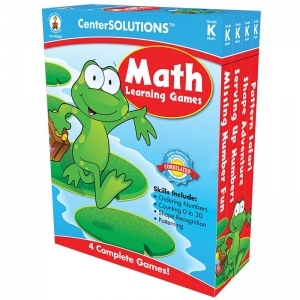 Earn higher scores using division or fraction tiles and landing on premium board positions. For 2 to 4 players or teams. Many levels of play for ages 8 to adult. 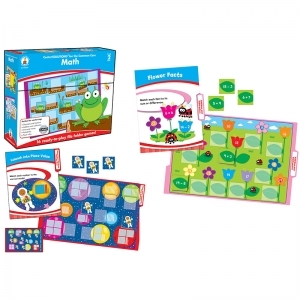 Fractions - High-scoring fraction tiles motivate player to learn about fractions. 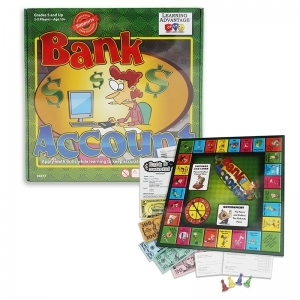 Position - Players strive for a high score by taking advantage of premium board positions. Large Numbers - Single digits placed adjacent to one another form larger numbers. 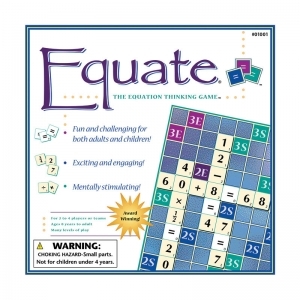 Strategy - Equate is strategically challenging for advanced players who already know their math. A game you'll never out grow. 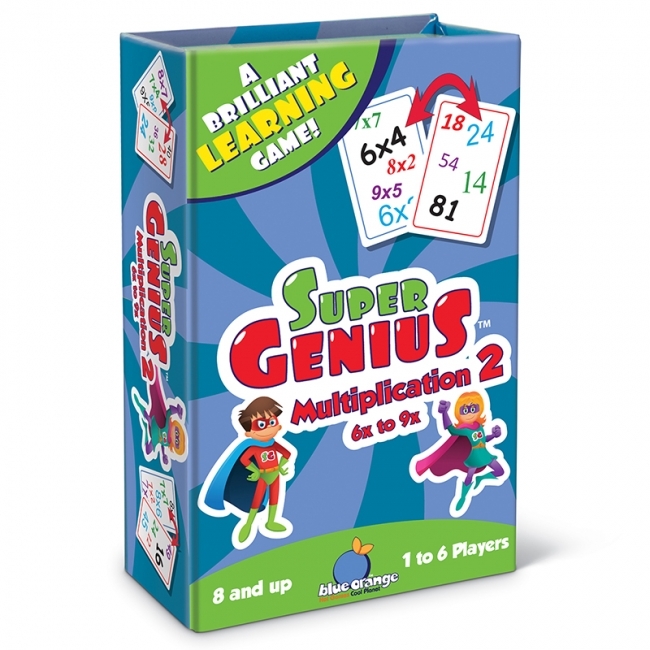 Levels - Adapts to many levels of play. 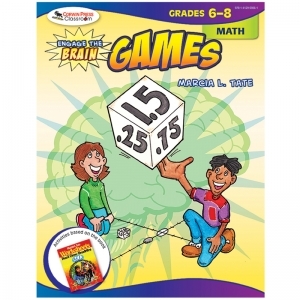 Derived from tested, research-based strategies found in the bestseller Worksheets Don't Grow Dendrites, this book provides activities that incorporate games aligned with national academic standards for math, including number and operations, algebra, geometry, measurement, and data analysis and probability. 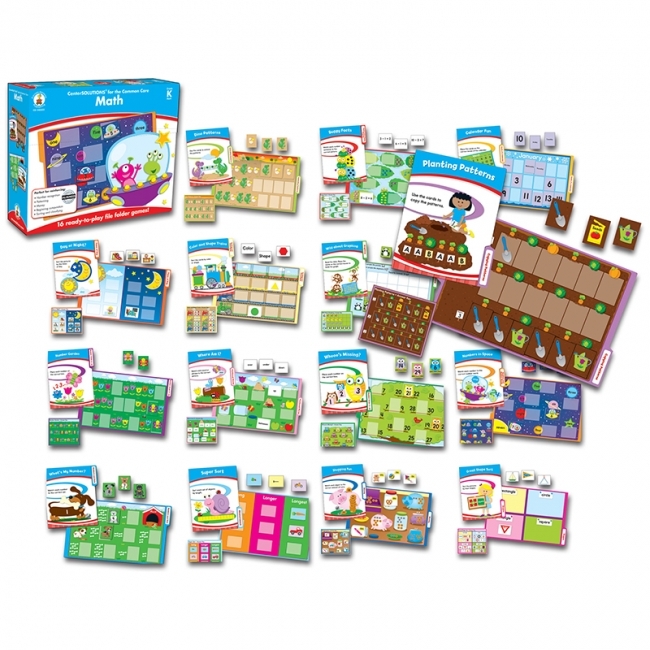 You will find brain-friendly activities that can be integrated easily into your lesson plans to inspire enthusiasm and help students achieve. 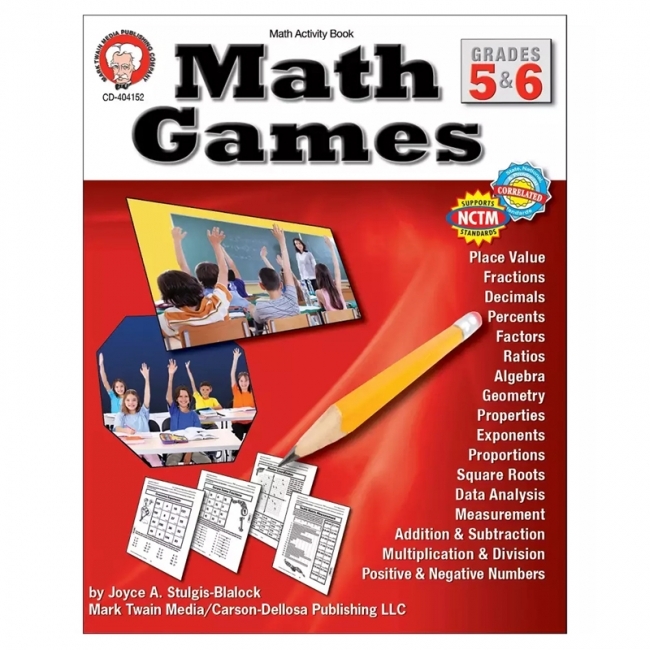 Each game provides learning objectives, a comprehensive materials list, step-by-step guidelines for playing the game, activities for extended learning, and required reproducibles such as game cards, game boards, and scorecards. Discover favorites such as memory match, bowling, rummy, and scavenger hunt applied to middle school math content in games like Bowling for Numbers, Gin Rummy Geometry, and Geo-Measure Scavenger Hunt. 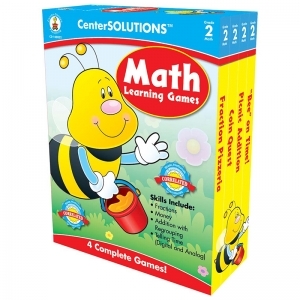 All games include a focus activity, modeling, guided practice, independent practice, and a closing. 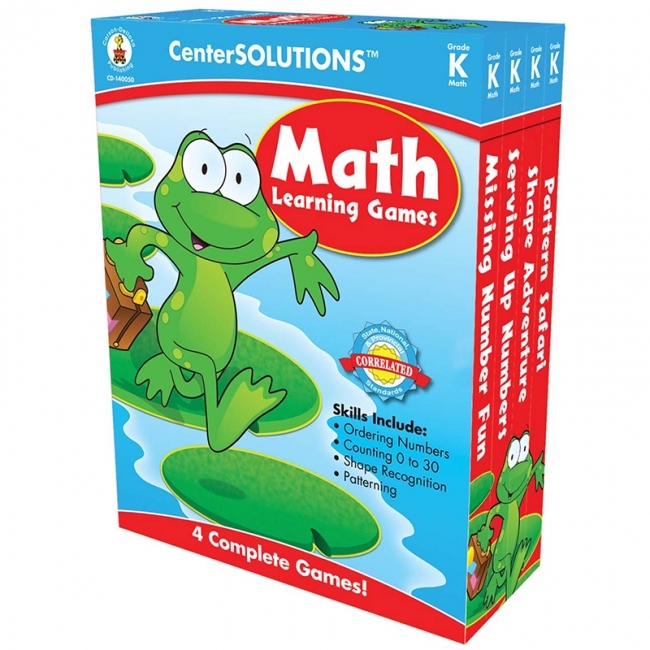 Students actively process content as they play existing games, and construct and design a variety of new ones. 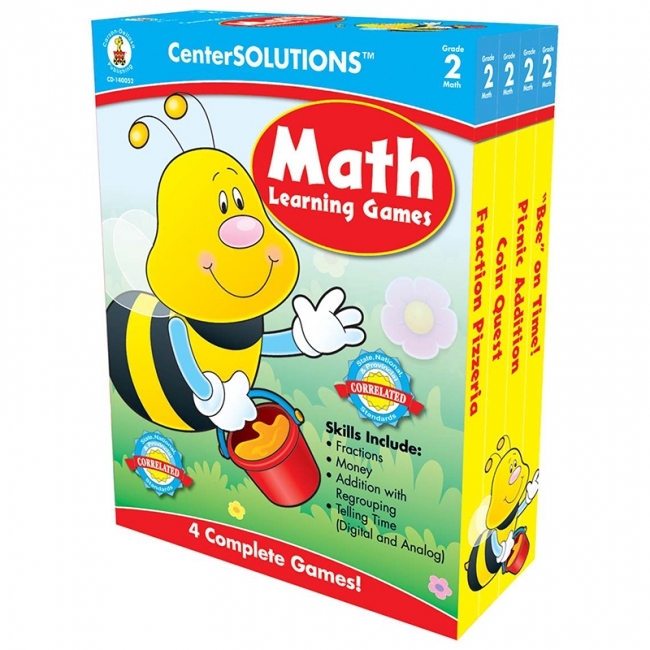 * Data analysis, probability, stock market math, and much more! 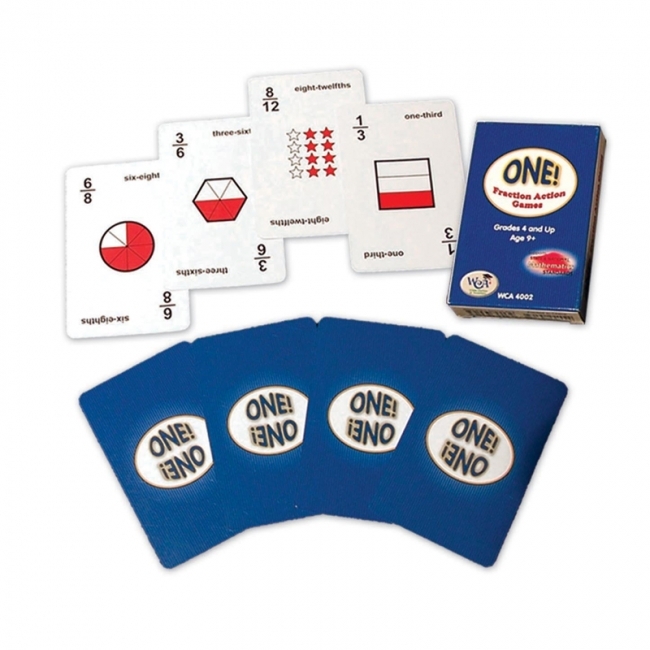 These outstanding card games offer students practice in matching equivalent fractions, pairing unlike fractions to make the sum of one, and ordering relative sizes. 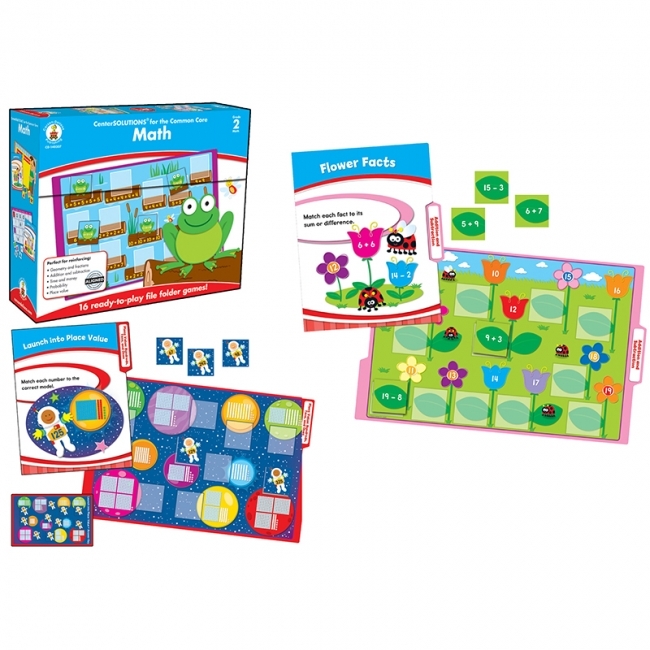 Visual learners will welcome a card design that pictures fractions with area and set models, and names them with numerals and words. 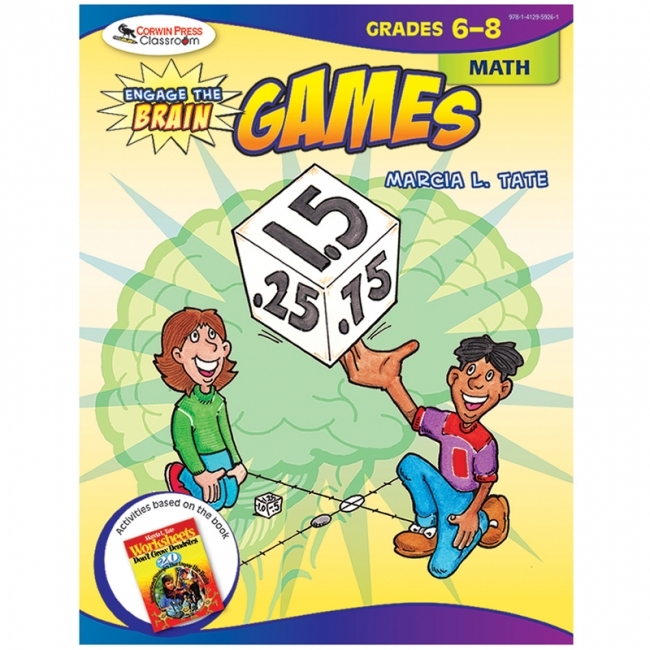 Covers halves, thirds, fourths, sixths, eighths, twelfths, and sixteenths. 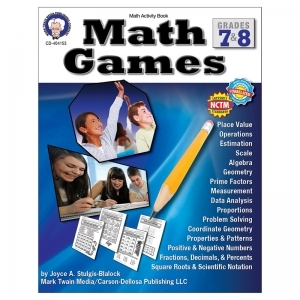 Game variations keep interest high as students develop key skills. 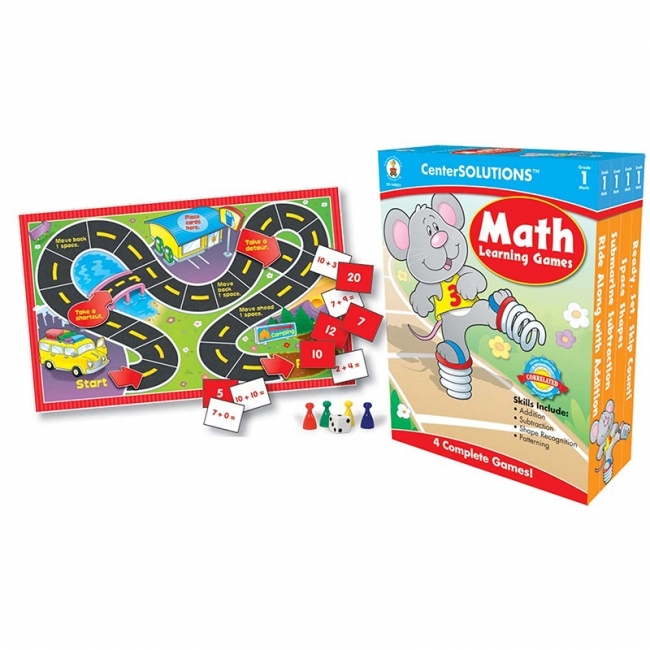 A longer-term investigation challenges students to combine five randomly-drawn fractions to make one using any combination of operations! For 1-4 players. 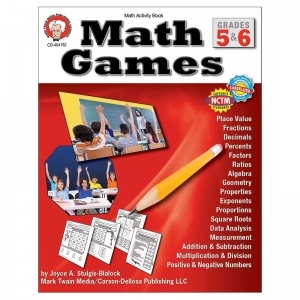 For grades 4+. 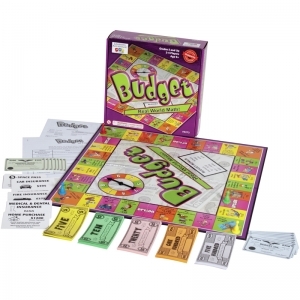 I'll never get out of this financial mess until I follow a budget! Why not learn what it means to live by a budget? Before each trip around the game board, players plan a budget and receive $2,000. They experience the realities of real-life economics as they buy a home or rent an apartment, pay insurance costs, make investments, buy groceries and clothing, repair fire damage, collect commissions, etc. 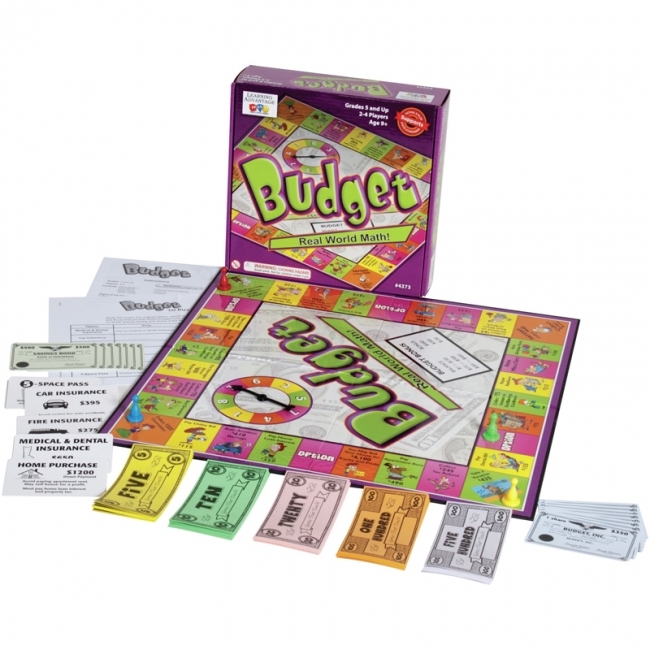 If the budget projection is reasonably accurate, the player collects a bonus on payday! The winner is the player who has the greatest wealth at the end of play. For 2-4 players.